Chant this mantra on every Thursday morning to usher in good luck. This powerful mantra in Hinduism is dedicated to Guru or Brihaspati. 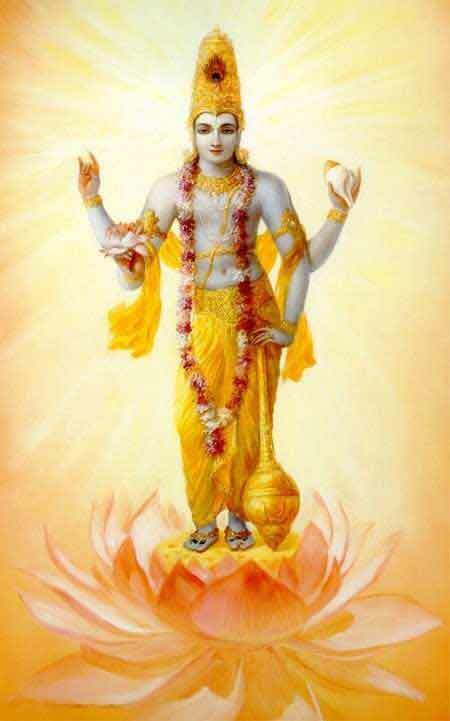 Thursday is also dedicated to Lord Vishnu. Always remember what matters is unwavering devotion and the attitude to not falter in Dharma. In Kali Yuga mere chanting the name of Lord is enough. But one needs to follow Dharma by keep desires in check. Light a lamp in puja room or anywhere you prefer using cow ghee. Donate banana to poor children on the day. Offering yellow color prasad, flowers and fruits to the deity and later sharing it with others will earn great merits.